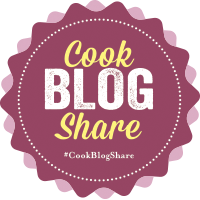 So it is week 2 of the GBBO and also my bake along linky : GBBOBloggers2016 and week 2 means biscuits. Hmmmm I am not very good at making biscuits, I have no idea why because I follow recipes to the letter with them as I don’t have the confidence to make them like I do cakes, which I often make up as I go along when it comes to new ideas. Whenever I hear that it is biscuit week on the Great British Bake Off, I always dread it because I am not very good at baking biscuits. 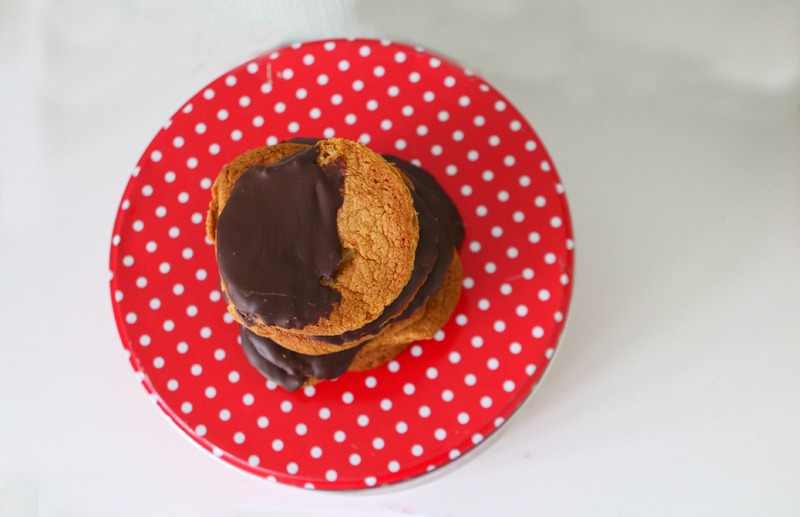 Cookies I can make , but biscuits are not my strong point. 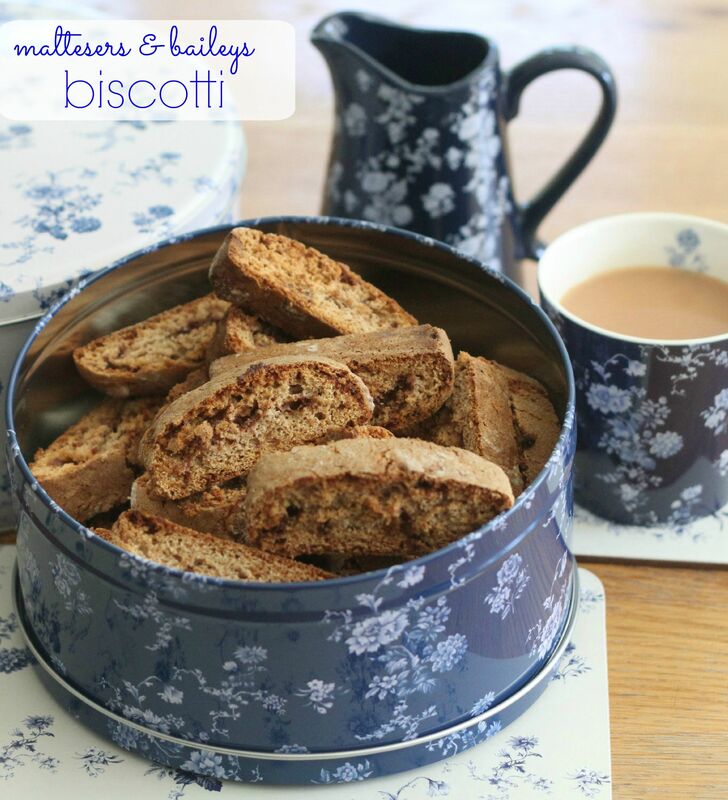 So when I discovered that for week 2 of the show, for biscuit week, the themes were either biscotti, arlettes or a 3D biscuit box which had to contain more biscuits, I decided that biscotti would be my bake off choice. I do not have much luck with biscuit making, cakes I can do but biscuits always seem to go wrong for me. 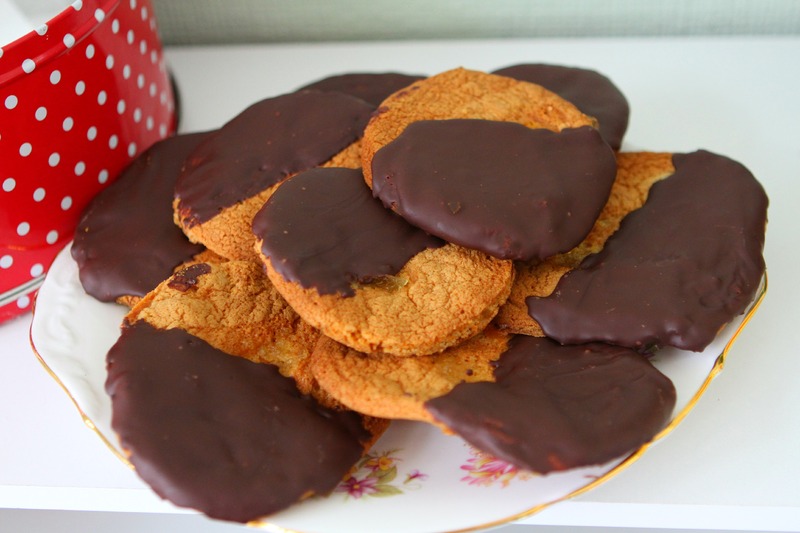 However, I do recall when I was at school that I made some ginger fairings and they worked out ok, a kind of bsicuit crossed with a cookie and lovely and big and packed full of that ginger kick that I love. I managed to dig out an old recipe book of mine, and found a recipe of sorts that I had scribbled down some years ago and decided to attempt some ginger biscuits, but I added some lemon zest and because I had been sent a bar of Green and Blacks Dark Chocolate with Lemon from my Degustabox Uk delivery this month, I thought this would make for a rather yummy biscuit indeed. I was not wrong – my goodness me these were amazing and quite fiery as the stem ginger and ground giner added a little heat which was too much for my boys, but fine for me and the OH. 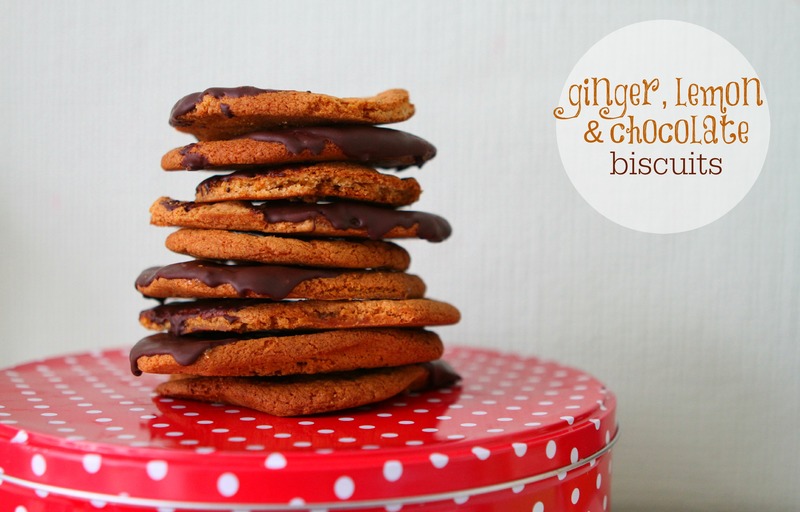 The chocolate and lemon zest definately added a new and delicious dimension to these ginger biscuits. However, they lost thier crunshg and were more cheswy and soft, which is fine by me as I like cookies like that, but I don’t think Mary and Paul would have been impressed by my lack of biscuit snap appeal! Line 4 baking sheets with greaseproof paper. Meanwhile place the butter and golden syrup in a small non stick saucepan and heat gently, over a low to moderate heat stirring frequently until the butter has melted. Then remove from the heat and set aside to cool until it is tepid. Pour the butter mixture over the dry ingredients, then add the egg and two thirds of the stem ginger. Mix thoroughly and then as a dough starts to form, you may want to use your hands to bring it all together. Shape the dough into approx 20 large balls. 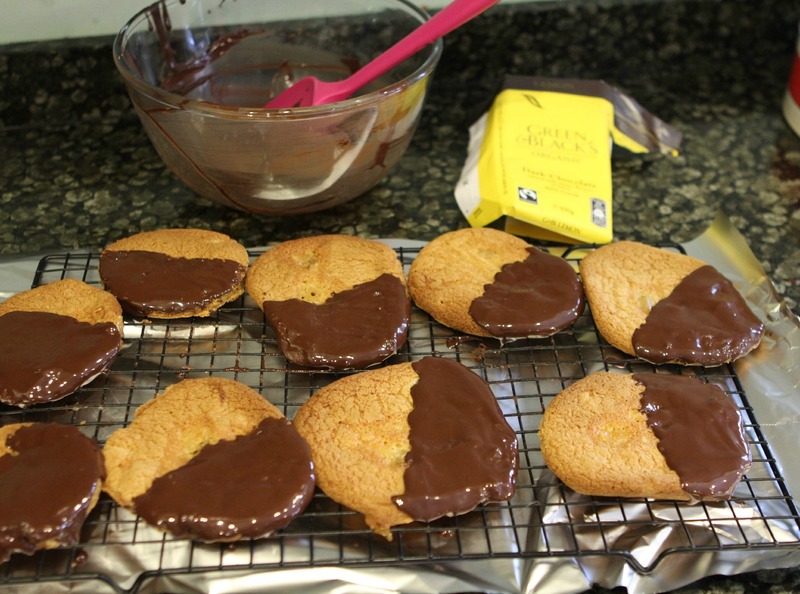 Place them, spaced well apart on the baking sheets and gently flatten each one. Bake in the oven for about 12-15 mins, until light golden in colour. 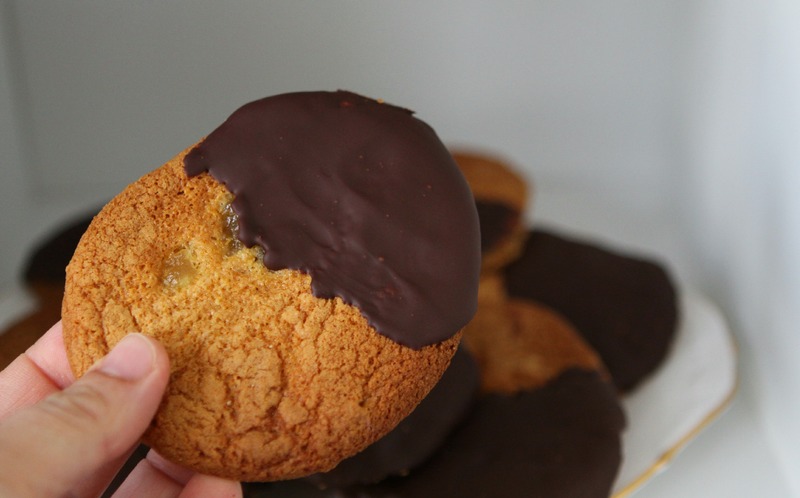 I dipped some of my biscuits in chocolate which is optional of course as they taste just as delicious plain, to do this simply melt your chocolate and then coat half of each biscuit in the chocolate. Once cooled, place in a tin with a lid and keep in a cool place. They were ruddy gorgeous and did not last long! So now over to you, on your marks get set……….BAKE!!!!!!!! **the Wednesday night following each episode of the GBBO a linky will open, and you need to bake a recipe inspired by one which was featured in the show. It can be an exact copy, one you have created yourself or a mix! As long as it can be connected to the themes used in that episode it can be linked up. **the linky will remain open until the following Monday at 12pm. I will NOT accept any late entries this year unlike I did last year, simply because I am giving you an extra 12 hours!!! 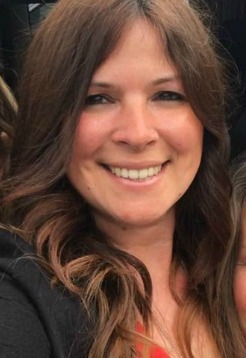 **when you tweet your bake off recipe, please @JennyPaulin with the #greatbloggersbakeoff2014 hashtag and I will RT for you and add it to the pinboard. 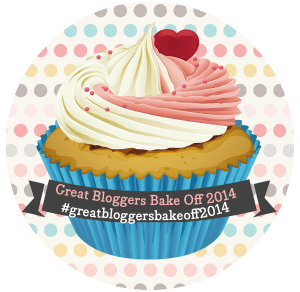 **each week a blogger or bloggers will be selected as a Star Baker and will recieve a special badge to wear with pride on their blog. **the next linky will open the following Wednesday as before but obviously with a new theme based on that evenings episode. This is not a serious linky at all (unless you make it so of course!). 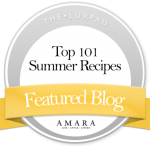 It is just for fun and any blogger is welcome to enter whatever their baking skills are and don’t be afraid to link up any disasters – credit will be given for effort too!